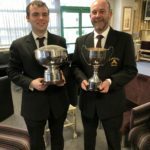 The North East Midlands Brass Band contest arrives around this time each year, usually two weeks before the Regional Contest. 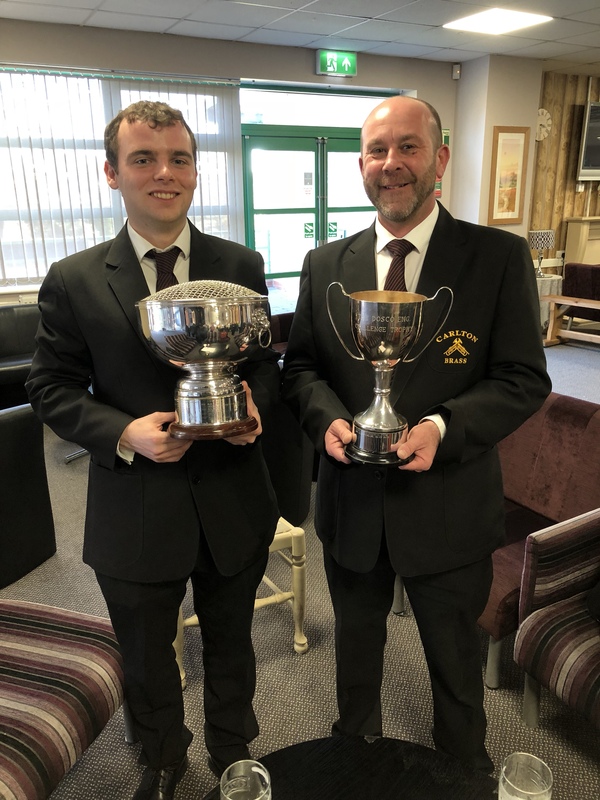 Bands are encouraged to enter as we are required to play the same test piece as the Regional Contest and we will receive some very useful feedback from the adjudicator that will be helpful later on. 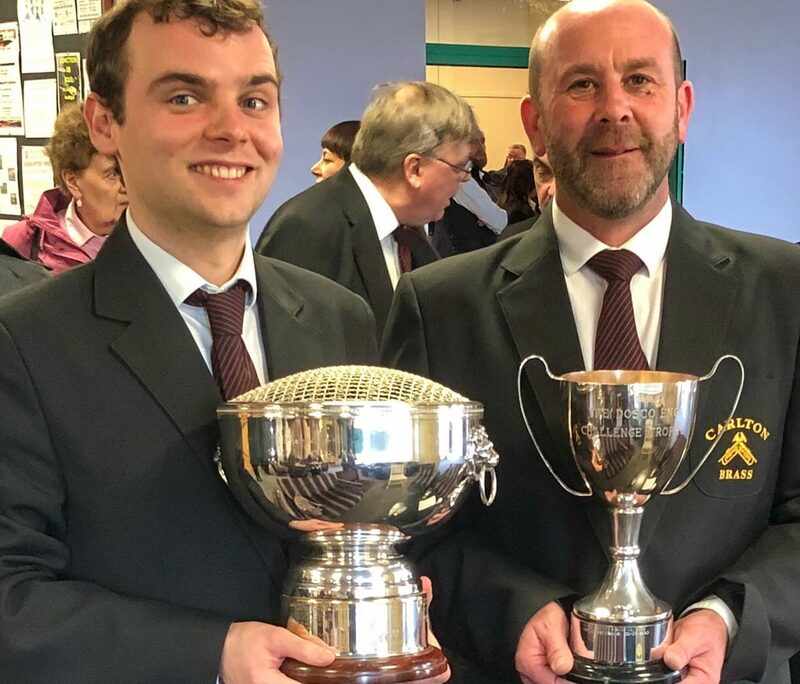 Carlton Brass enter every year, and this year saw four bands compete in the First Section – two from Yorkshire (Chapeltown and Hade Edge) and two from the Midlands (us and our friends over at Leicester Co-op). We all attempted to play James Curnow’s excellent test piece Brass Metamorphosis – one of his lesser-known compositions, but full of great music and a true test of any first section band. None of the bands escaped without a few mistakes but Carlton played our best performance of the piece yet and claimed an excellent second place against very good competition. Chapeltown took the honours with an excellent-sounding version, while all four bands received some extremely helpful comments from the adjudictor Mark Walters. 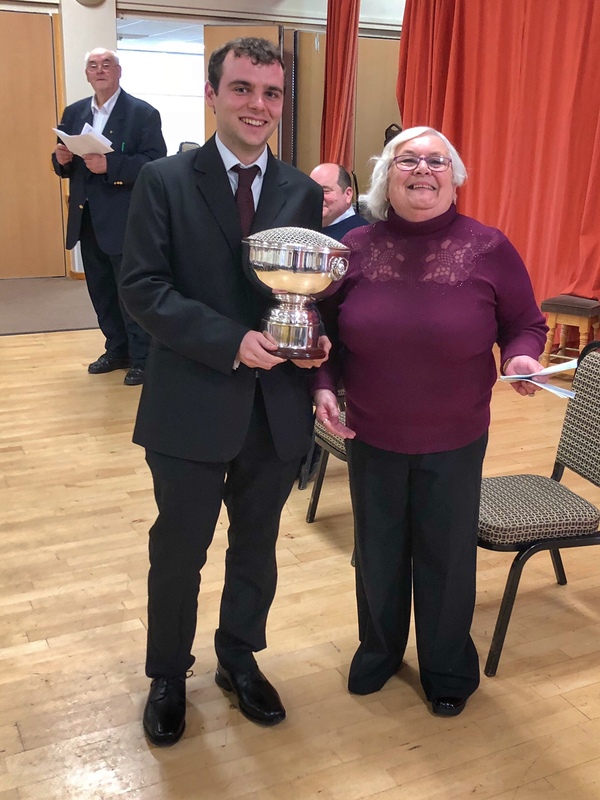 Carlton also won best horn performance in the First Section after our principle horn play Andy Gillie played his socks off. The piece features the horn section frequently and Andy played very well indeed. There were some great sounds all around the band and we will be looking forward to polishing the piece up in time for our Regional performance in Bedworth on Saturday 10th March. Many thanks are owed to Melanie Cooper and her team for another excellently managed contest at the Post Mill Centre in South Normanton. The whole day flowed smoothly and all bands were managed beautifully. We will be back for the 2019 contest! Previous Previous post: The calm before the Christmas storm.